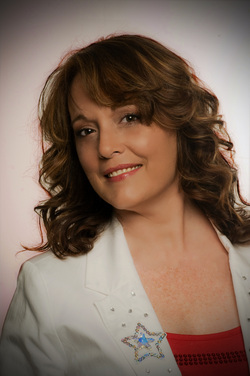 Marcy Downey: "The Cabaret at Studio B is the ideal venue to perform my cabaret variety show. It's intimate enough to feel connected with my audience, yet large enough to seat a good sized crowd. The stage lighting and professional sound system are second to none. The ambience and house lights are always appropriate, and the appearance of the Cabaret room is always impeccable. At the top of the list of the reasons to perform there is owner Amy Sidari herself. Her professionalism, attention to detail and reliability are rock solid. Entertainers can always feel confident that the marketing, stage management, box office management, and customer service are always handled professionally, courteously, and capably. The location of the Cabaret itself is also a big plus. Easily found and ample parking, which is a major consideration for any performance hall. I give The Cabaret at Studio B an A+ for all-around suitability and desirability as a performance venue!" 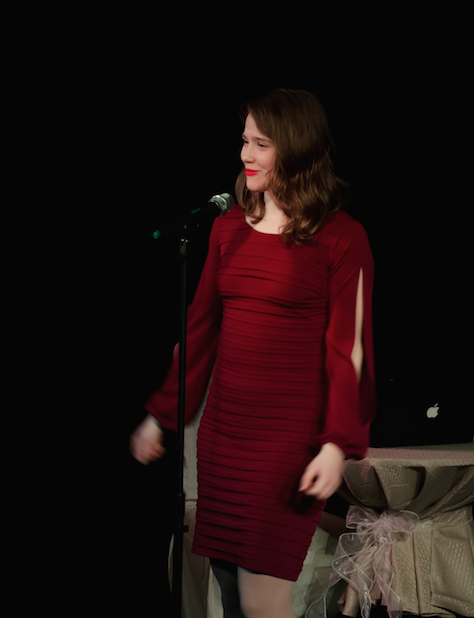 Josie Waverly: "Performing at The Cabaret at Studio B Theatre is just so intimate and connecting. As a performer that likes to be close to her audience this theatre gives me that opportunity. The acoustics are wonderful. However that being said, my favorite part of the theatre is the owner, Miss Amy. She is just wonderful to work with and for. I look forward to every performance there!" "New York State's Queen of Country Music"
Jackie Madejski: "I love performing at The Cabaret. Amy is so organized, calm, professional, and supportive, which makes her performers feel so at home and comfortable. The atmosphere is so intimate yet professional, I feel like I'm performing in a black box theater in a major city. 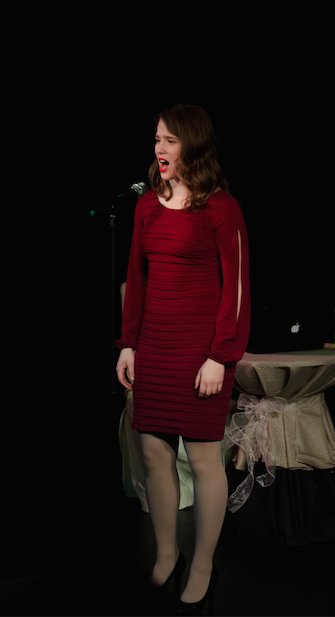 Performing at the Cabaret always makes coming home extra special for me." Dear Miss Amy, may I just say what a great experience I had working with you and the lovely folks at the Cabaret at Studio B. It is such a pleasure to work with professionals. From your ultra cool venue and very professional sound and lights, all the way down to your wonderful usher, Gina, the entire experience was first rate. I had a wonderful time performing for the beautiful people of Albion, and I am very much looking forward to coming back. My very best to you and your beautiful family. Thank you so much for your hospitality and friendship. Hope to see you all again soon! ​​I have been blessed to have had the opportunity of performing my cabaret shows in NYC, but in all honesty the Cabaret at Studio B, in Albion NY, is at the top of my performing experiences. 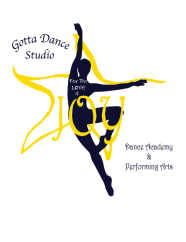 The quality of sound, personalized lighting design, elegant yet comfortable ambiance and professionalism of owner, Amy Sidari, turns every performance into a treasured memory. I have had the distinct pleasure of knowing and working with Amy Sidari for the past couple of years. Her job is not an easy one - she wears many hats. Our interaction has involved the booking of my Music Clients to perform at Cabaret at Studio B. I have been in the business of Music Management and Bookings for 40 years. And Amy is as professional and productive as anybody out there. She gets things done - always with a smile - and with that kind of contagious enthusiasm that makes Amy who she is. She puts 150% of herself into everything she does. She makes sure "the deal" is a win-win for everybody. And her attention to detail is impeccable. Erin Boheme who is produced by Michael Buble. And last October she had singer Dakota Horvath who has an endorsement from Frank Sinatra himself. I greatly look forward to our future business together and would highly recommend Amy to anybody. What sets Amy apart and makes her very special is her unbounded love for people and her ability to turn a business relationship into a friendship as well. She's a born leader without the "diva" that often goes along with it. Whoever is fortunate enough to meet Amy in this lifetime- you will respect her, admire her and want to make her part of your life. She will definitely always be a part of mine.